Netflix has announced that the animated Star Wars series that originally found life on Cartoon Network (before getting a worthy finale) will be coming to their streaming service. Additionally, The Clone Wars will also be getting a sixth season on Netflix. The sixth season was already well into production when the show was canceled after the Disney acquisition of Lucasfilm. The Clone Wars is expected to hit Netflix on March 7. I’m a huge fan of TRON. The original film helped establish me in my geekdom. I played and loved the no-longer-canon game TRON 2.0 and was excited to see more of the property. I squealed with a childish enthusiasm when I saw the Comic-Con teaser for TR2N and was thrilled to hear that production on Legacy was moving forward after the huge reaction to that trailer. I played TRON: Evolution, and loved it (if you need a reference, here’s my review–it’s on Examiner, so be warned). I love TRON. 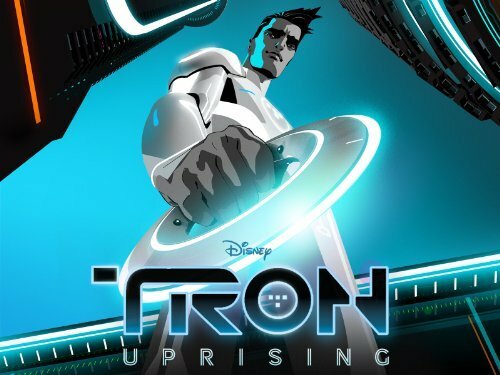 I started watching the animated series, TRON: Uprising, when it started airing, but ended up falling behind after the show went on hiatus. I was thrilled, then, when I saw it pop up on Netflix–I had a good reason to start the show over and finally finish the first season. While the next installment of the film franchise is moving forward (another point I’m thrilled about–especially since I’ve developed a huge appreciation for Kosinski’s style following Legacy and his most recent Oblivion), the future of the fantastic animated interquel (set between Evolution and Legacy) remains uncertain. It’s kinda sad. Uprising didn’t really reach a huge audience. As far as American animations go, there’s really little else I can think of that can compare with Tron: Uprising in terms of style and story. It’s filled with social and political commentaries that are intended for older audiences and is, at times, pretty dark. It’s not inappropriate for children, but it’s a show that’s certainly geared toward more mature audiences with many of its finer points being easily lost on the young. Maybe that’s the show’s problem? It’s a Disney cartoon that feels nothing like a Disney cartoon. Kids and people unfamiliar with the property might not take an interest in the show because it is a little more “grown up” than what they’re looking for in a cartoon. Meanwhile, adults might feel compelled to avoid watching a Disney cartoon–especially one so serious. It’s a fantastic show, but its downfall might be being an animated show carrying the Disney label. I’m still a few episodes away from finishing the first season, so I don’t know how it ends, but I feel pretty certain that it leaves the viewer with multiple unanswered questions. What happens to those questions if the show doesn’t move forward? They could answer them in the next film, I suppose, but that would feel like a cheap and unsatisfactory solution for fans of the show. There’s a lot of complexity in the show and with hours of buildup; finishing it off in a flashback of some kind would lessen the impact of the storytelling. Going back to Evolution, if the show doesn’t continue past its first season, I could see it doing really well as a game–one that’s not tied down to a film’s release. As I said in my review of Evolution, the game had the stigma of being a movie-licensed title. While a game based on and continuing the story of Uprising would still have the branding, if it weren’t released around the time of the next film and were marketed as a standalone property, I think it would do a lot better. There are several successful gaming properties based on existing IPs and film franchises; most notably would probably be Star Wars. TRON as an IP, I feel, has what it takes to exist beyond one medium, and gaming is the perfect medium for the franchise to expand. Playing Evolution, I really enjoyed the Prince of Persia inspired platforming and the combat was fluid, fast-paced, and fun. I thought, though, that the world could use more fleshing out. Tron City is a huge place just begging to be explored, but the game confines you to linear levels that restrict your exploration of the game’s world. It’s still a beautiful game with some great level design, but it’s disappointing to not be able to really experience the world of the Grid. If we were to get a game based on Uprising with a free-roaming Argon City similar to maybe the new Batman games or a BioWare game, that would be incredible. 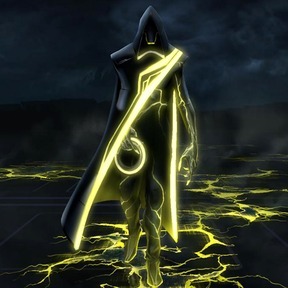 I could really see a Mass Effect styled TRON game with PoP platforming and combat being an incredible experience. Throw in some non-linear storytelling and you may well never hear from me again. Its doubtful that Disney would do something like that, but I honestly don’t understand why we haven’t seen more TRON in games. The world is set within a computer system with programs being participants in games. It’s just begging to let players explore it in an interactive medium. I’d love to see more of the Grid in a game and I’m sure I’m not alone in this. There’s really little point to this article beyond my wishful musings on a property I love. The future of the property is in Disney’s hands, but it’d be nice if they’d listen to the fans and give us what we want; we’re the ones who have made the franchise the modest success that it’s become and we’re the ones the future successes of the franchise depends on. Make the fans happy, and we’ll make you happy Disney. Give us some more quality content. Please? An official statement from Lucasfilm informs readers that the planned re-releases of the Star Wars films in 3D have been postponed. The posting specifically states Episodes II and III are the films being postponed with no mention of the films in the original trilogy. With the statement that Lucasfilm will “focus 100 percent of our efforts on Star Wars: Episode VII,” it is entirely likely that the 3D re-releases of the original films has been altogether canceled. Given that there has already been a lot of work done on converting the remaining prequel films to 3D, it’s a safe bet that, despite the delay, Attack of the Clones and Revenge of the Sith will make their ways back to the big screen.